Don’t miss out on Marshal KLA11 tyres to get the best performance and most reliable tyres for heavy trucks and large vehicles. Accommodating heavy weights is an important part of tyres for this vehicle class and being able to last for a long time while returning good performance is essential, which shows just how valuable these Marshal tyres are. Reliable and durable, there are few better products available, and none are competitively priced. 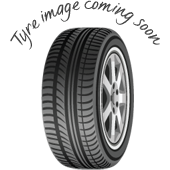 Don’t look past the KLA11 tyres.